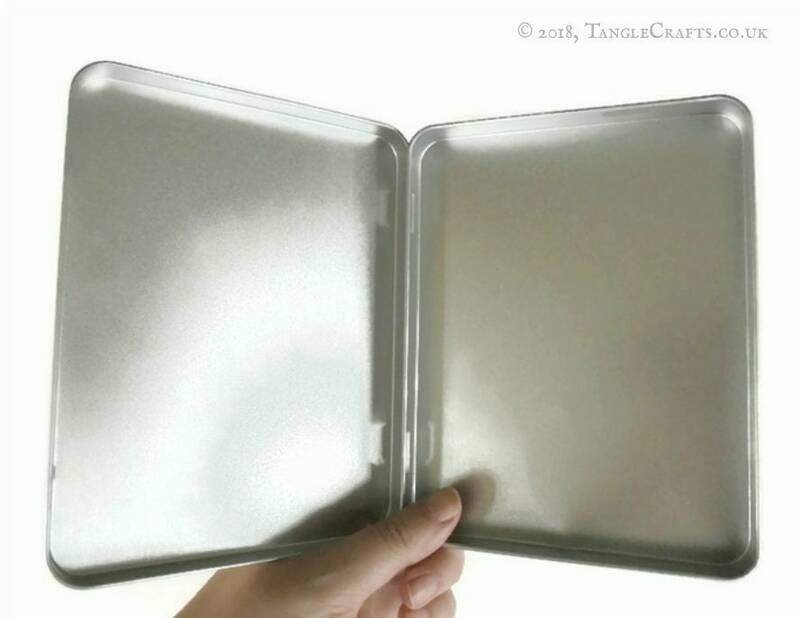 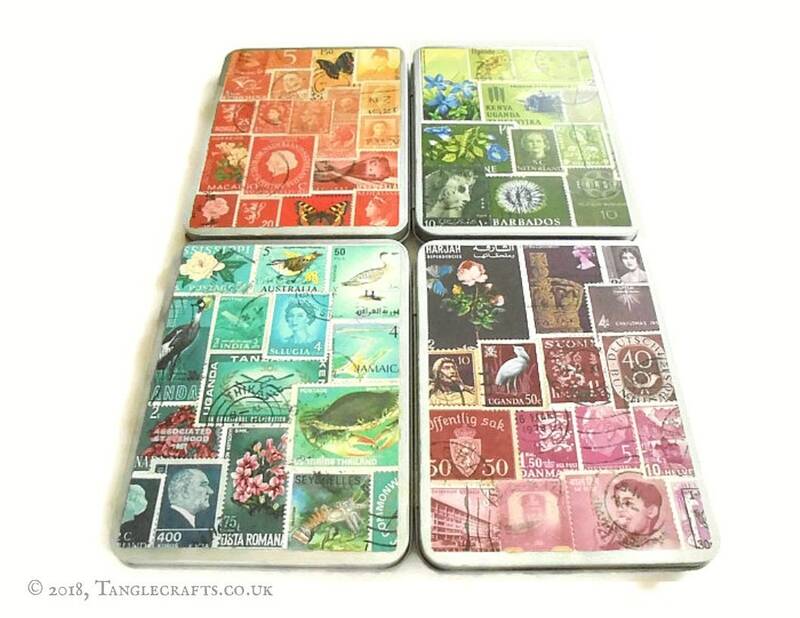 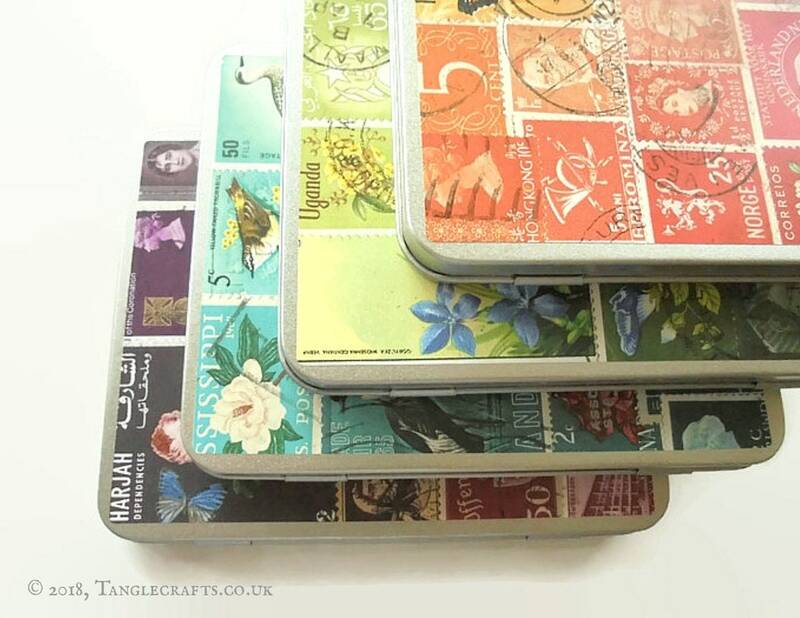 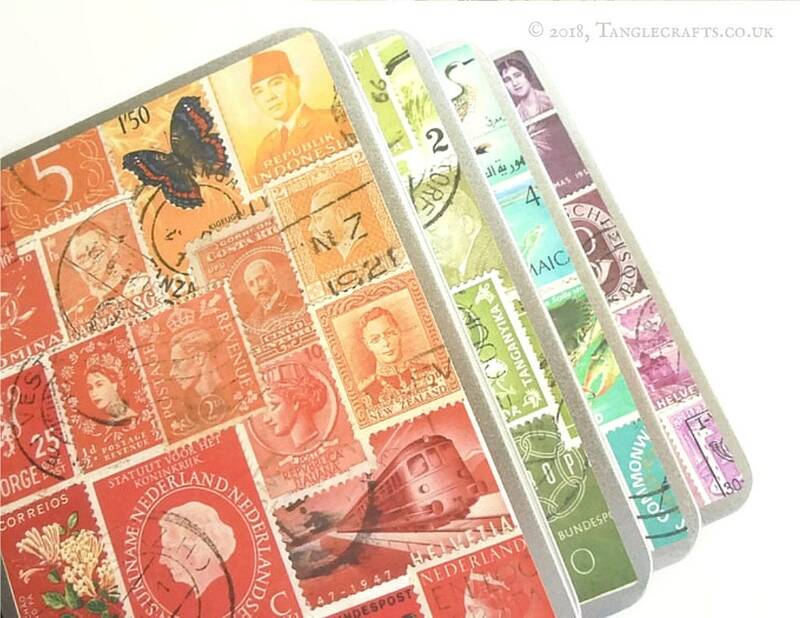 You will receive one each of the 4 different tin designs shown above. 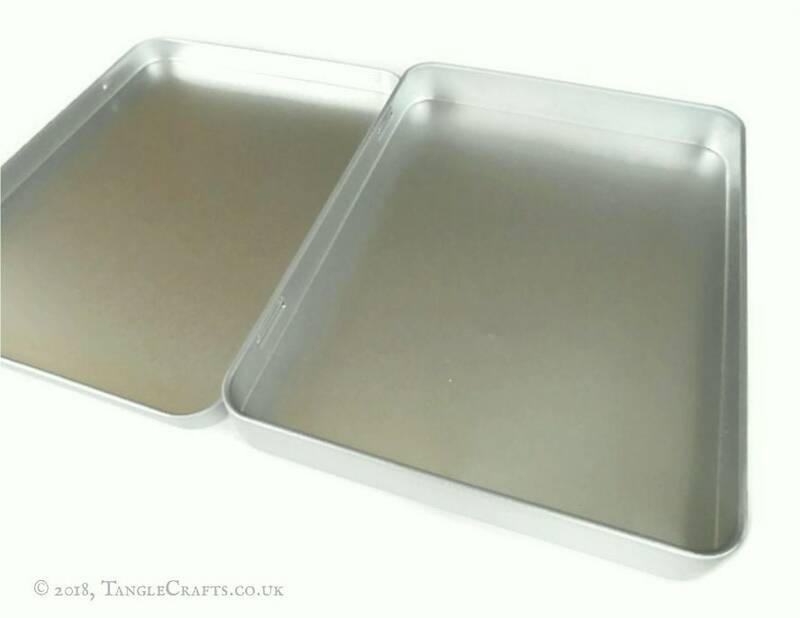 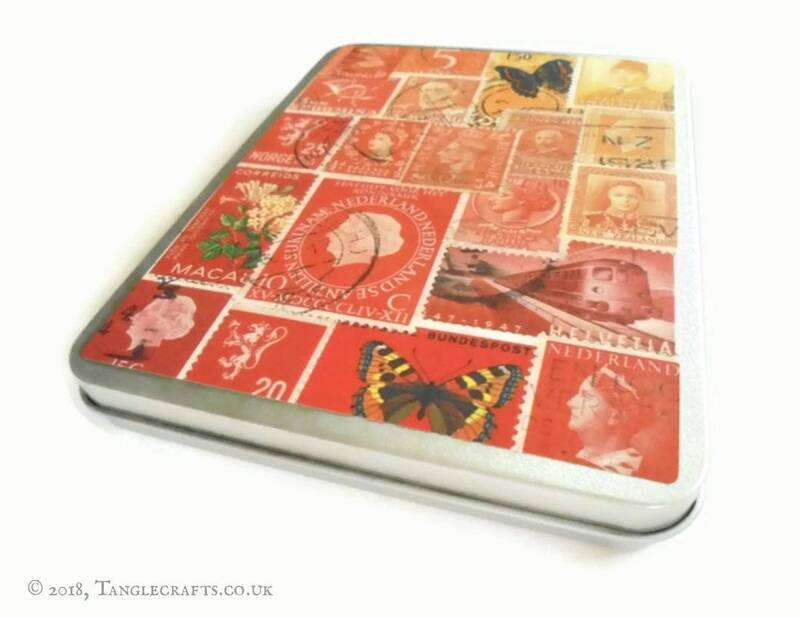 The lid of each tin is decorated with a matt-finish decal which has been professionally printed then carefully applied by hand. 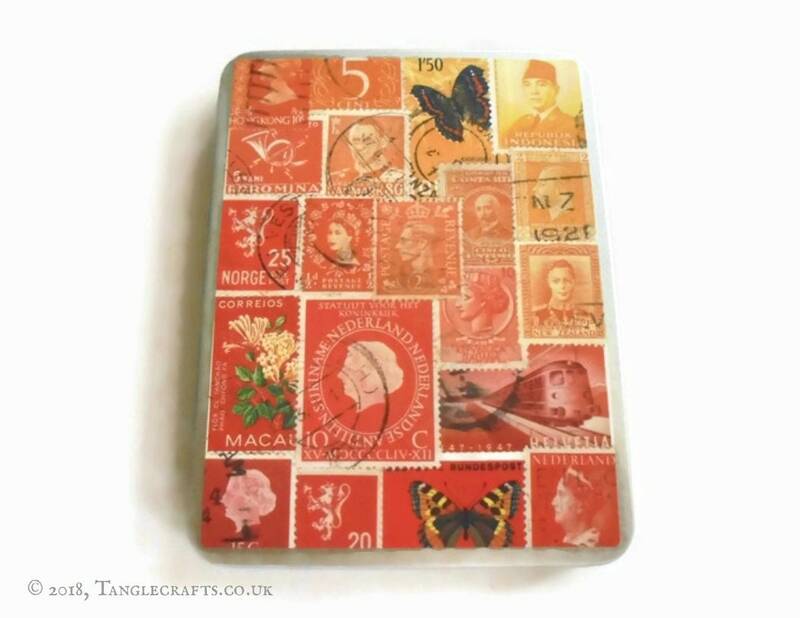 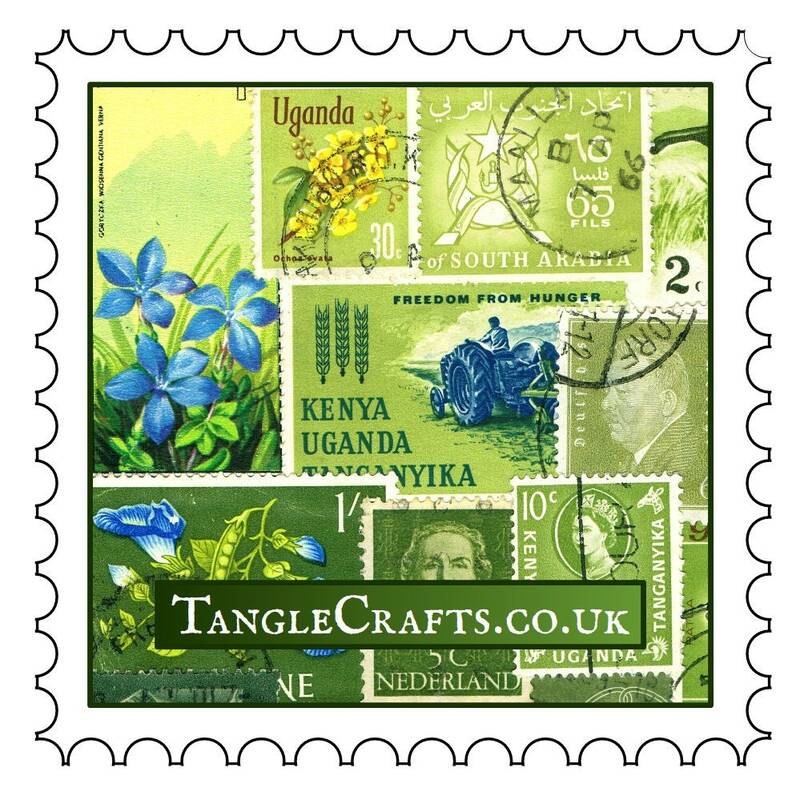 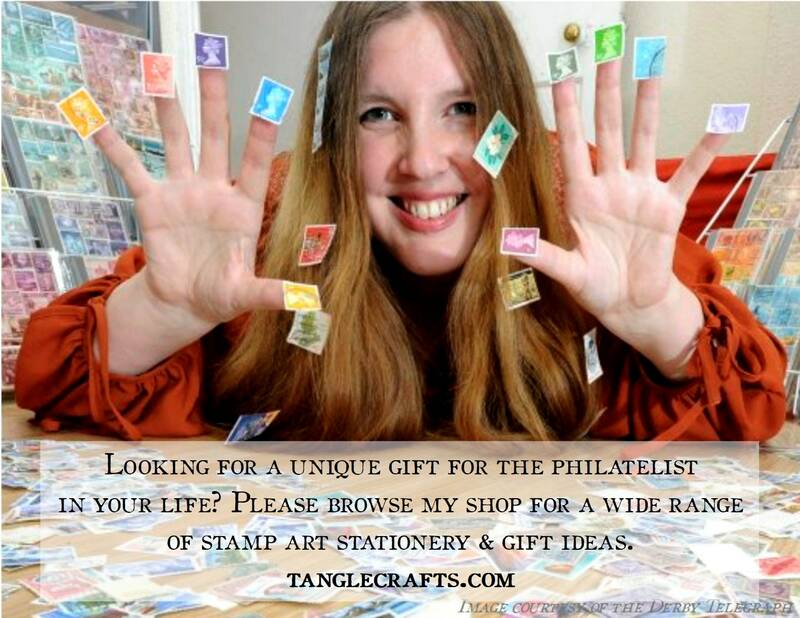 The designs are reproduced from my original postage stamp collages, so you will not find them anywhere else! 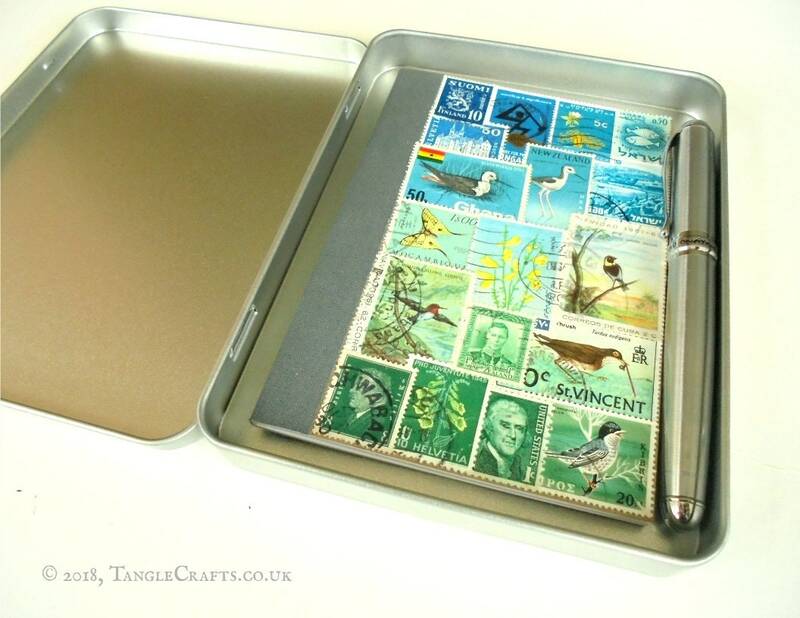 The decal is made of matt, waterproof vinyl, backed with a strong permanent adhesive.